There is much regulation in the credit and collection industry about what you can and cannot say on a call. Because of this, collection agencies must strive to keep calls uniform, no matter what agent is collecting the debt. 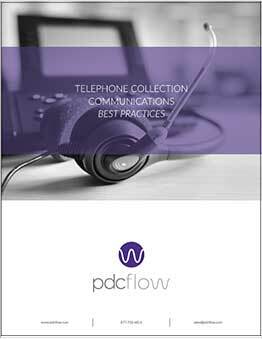 Download these Best Practices detailing call scripts, tips on how collectors can handle the various situations they may encounter when on a call, and what phrases a collection agent should avoid when speaking with a consumer. The information provided comes from members of the California Association of Collectors as provided in their webinar series: Collection Boot Camp. To view the full article based on their presentation, please see Collection Boot Camp: Telephone Collection Communications.